An optimized internal link structure is important for helping search engine crawlers recognize which pages of your website are the most important. 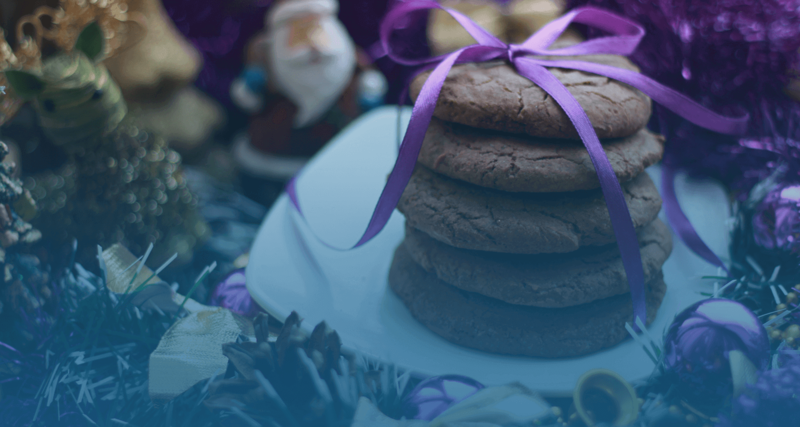 Nothing is better than the smell of freshly baked biscuits wafting through the house during the Christmas season, so, this week, the Ryte Christmas Bakery is providing you with an easy recipe for chocolate link biscuits – heplping you optimize your internal link structure. This will help search engines recognize what the most important pages of your website are, meaning that these pages will be more likely to be shown in the SERPs. An optimized link structure will therefore help to improve the overall performance of your website. Try not to include duplicate links (if these slip into the dough by accident, you’ll need a pinch of nofollow attribute sprinkles). 1. 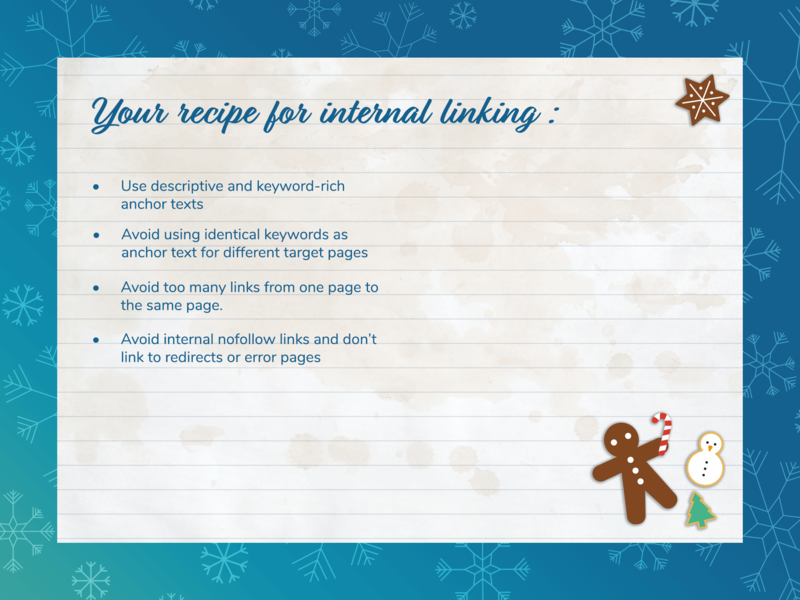 In a large bowl, mix together your link juice with your internal and relevant links to form a dough. 2. Add link targets, but be careful: these smell strongly, so only use them if you want to open a window! 3. Knead in the anchor texts and link texts to ensure a perfect internal linking. 4. Roll out the dough and sculpt with a PageRank cutter. 5. Place your link biscuits on a baking tray, making sure they’re laid out regularly and hierarchically so that the link juice can’t get out. 6. Bake you link biscuits in the oven for 15 minutes on 180 degrees. 7. If you want to enjoy your biscuits all around the world, add an extra hreflang tag on top to ensure that search engines recognize and display the right version of your website to the users. Then, let Ryte’s module Website Success have a taste to find out how delicious your internal linking structure really is! In the module Website Success, you can easily view your link structure, anchor texts, link targets, and more. For example, for an overview of your link targets, click on the menu point “link targets” under “links”. Published on 12/21/2017 by Olivia Willson.